I'm showing work at Lakeside Cafe. Part of the 81Bees Photography Collective. The theme is travel and we're pretty much covering the world. 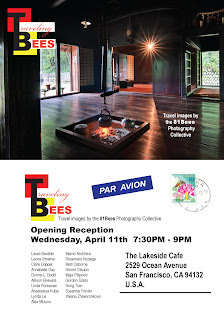 Our Opening Reception is this Wed 4/11 from 7:30 to 9pm. Stop by if you're out traveling the streets of San Francisco.